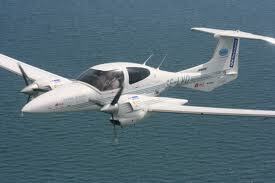 Tracer Aviation supply a range of equipment for the DA42. Products include video displays, video recorders, video distribution and role equipment fitting services. Tracer Aviation video displays can be used as part of the aircraft fit to display radar, moving map and pilot checklist data but have been specifically designed to maximize the image quality from onboard surveillance camera systems such as the FLIR Systems SAFIRE, Wescam MX10, MX15 or MX20 series and other leading stabilized turrets. Our displays can easily handle multiple video inputs from a host of different sources and all offer High Definition Video (HD) as standard. In addition options such as dual backlighting and NVG compatibility are available. Typically we will be providing inputs for Augmented Reality Mapping Systems, Smart Computers, multi-sensor gyrostabilised camera systems and outputs for various equipment such as digital microwave links.